Our misclassification lawyers represent employees in California who should be paid by the hour. Unfortunately, employers often pay employees a salary when the law demands they be paid by the hour. A “non-exempt” employee is paid hourly. An “exempt” employee is paid a salary. The exempt employee does not keep track of his time and is not paid overtime. The non-exempt employee must be paid overtime if he works more than 8 hours in a day or 40 hours in a week. If you believe you have been misclassified into on these categories, our employment lawyer can provide you with a free consultation to see if you’re owed damages. According to California law, if you’re employed in an administrative, executive, or professional capacity your employer might not have to pay you overtime. 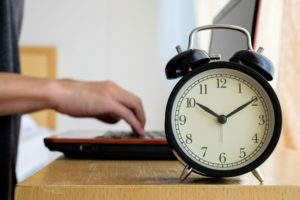 Additionally, if you are a computer software professional, commissioned salesperson, or outside sales employee, your employer might not have to pay you overtime. This is because California law exempts these six categories from overtime requirements. Not surprisingly, employers often misclassify workers as “exempt” to avoid paying overtime, even when the law does not permit them to do so. The law here is tricky. It is difficult for the non-lawyer to determine whether an employee is exempt or non-exempt. If you want to know without second-guessing, contact us. Before you continue reading, sign up for our monthly employment law newsletter! We will email you outstanding employment information to help protect employees just like you. If you work full-time and get paid less than double minimum wage per year on salary, then you should be paid hourly. Note, as of January 1, 2017, the amount for a computer software professional is $7,352.62 per month or $88,231.36 annually. If you worked more than 8 hours in a day or more than 40 in a week, then you are owed your lost overtime wages. Note: what is critical in determining whether an exemption exists is the actual requirements and circumstances of the job, not the employee’s job title. Many employers call workers exempt even when they should not. Often this is unintentional. However, even a good faith mistake does not relieve the employer of the duty to pay you overtime. A report published in 2015 by the Economic Policy Institute examined a series of state-level studies on employee classification. The Institute found that 10 to 20 percent of employers misclassify at least one worker as an independent contractor. The Institute found misclassification was most common in industries such as construction, as well as in industries where workers are isolated such as housekeeping, in-home care, and trucking. The article also noted a study done on truckers in the Port of Los Angeles that found only 10 percent of drivers were estimated to be “directly employed by companies.” This left all other drivers to be classified as independent “owner-operators.” While this arrangement should theoretically allow drivers to pursue work with other companies and to set their own schedules, the reality was less rosy. Drivers reported that the companies they contracted with exerted control over their work and enforced environmental compliance for the vehicles they drove. The report further noted that some drivers were able to challenge these classifications under California law and the Fair Labor and Standards Act. In some cases, the drivers won. Thus, if you believe you should be paid on an hourly basis, give our labor lawyers a call and we will provide you with an accurate assessment.